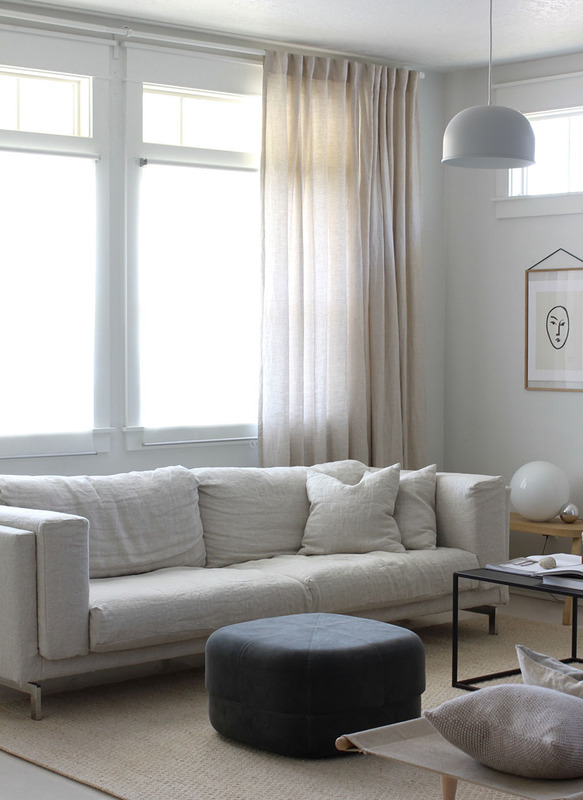 Earlier in the month I talked about getting a new sofa look without buying a whole new sofa. 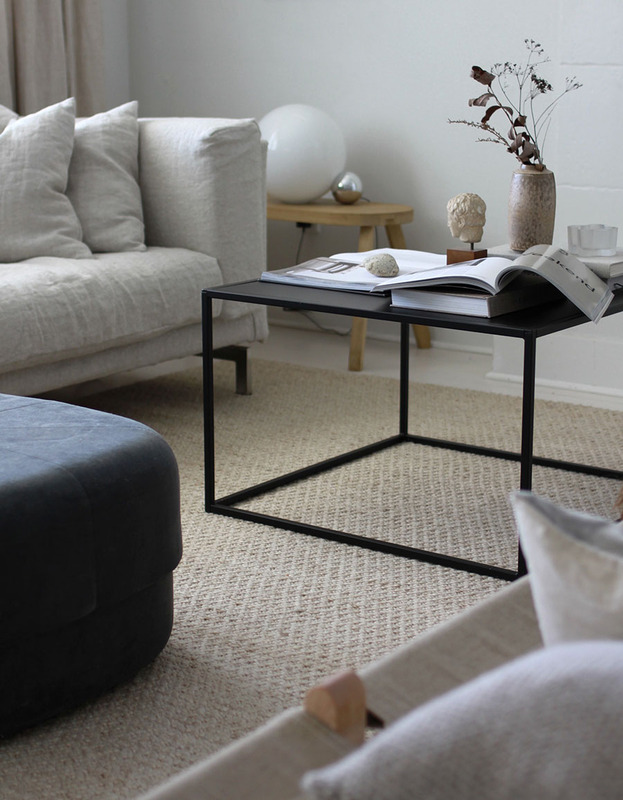 I'm glad to share our own IKEA sofa that got a new look with a linen cover from Bemz. Possibly you may remember when we did the same for a, now discontinued, Karlstad chair. It had an entirely different look. For the sofa we went for linen again, though I originally wanted velvet, ultimately I chose a light colored natural linen because the sofa, though near windows, sits just in the shady spot so that a dark color just gets lost. I know because we've tried it. Our cover before this was sort of an ivory and while I liked that one too, the linen Bemz cover gives the sofa a much more unique look and very causal too. I also chose matching covers for our throw cushions, a feature I really love as well. Many times I've wanted to match the cushions to the sofa fabric and with Bemz it's completely doable. 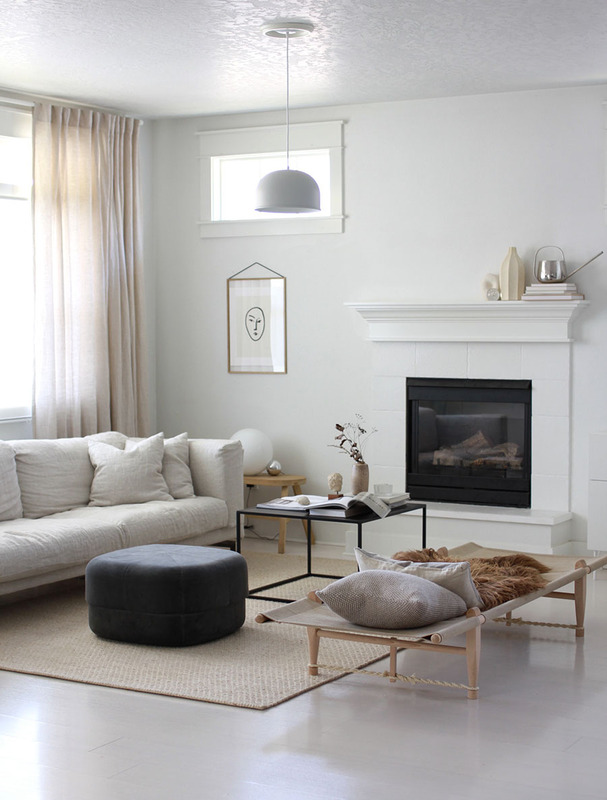 The rug that was here before was also nice however this natural fibered rug from Armadillo & Co seems to work much better with the natural linen and the paler color makes this corner feel even brighter. It's also large enough to anchor our table, pouf and daybed together with more purpose. One of my favorite features of this rug is it's surprising texture. 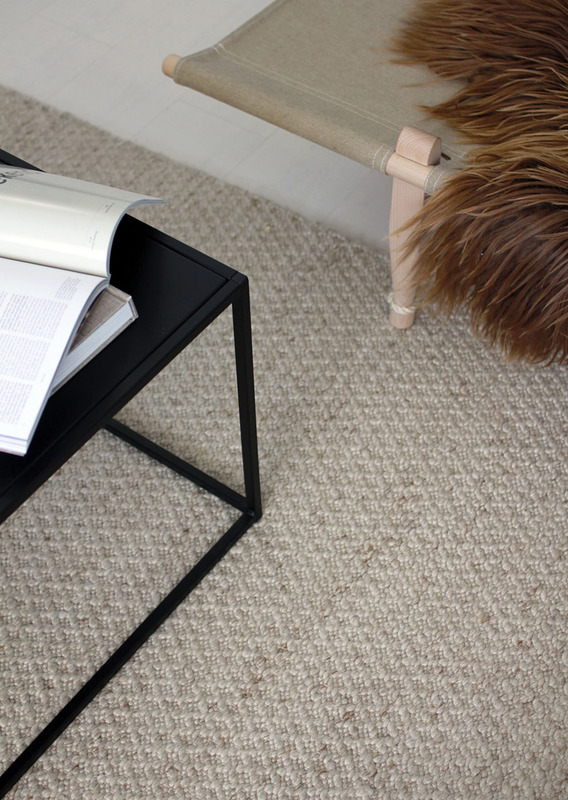 Most natural fiber rugs I've felt are rough and course, shedding fibers, especially when I think of jute and sometimes wool. Even though it might not look it, this one is very soft and perfect for walking on bare foot! 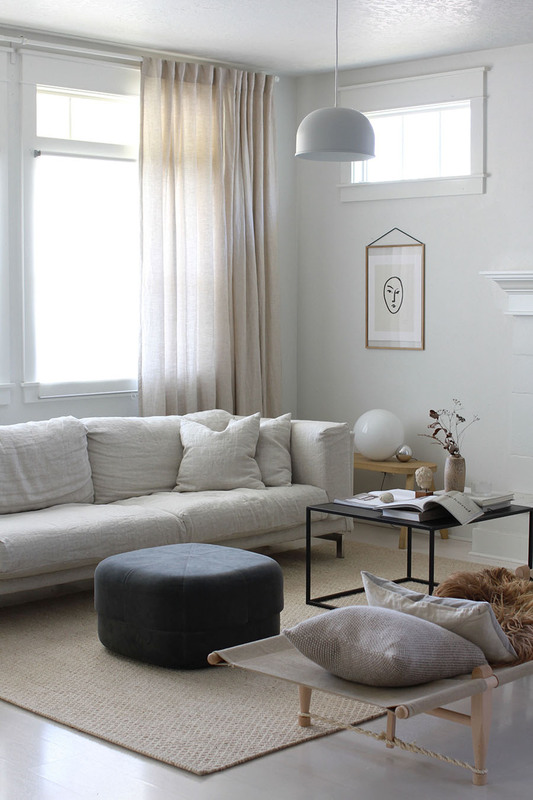 The difference a new sofa cover and rug make are subtle yet impactful. I like the natural materials together and also think it will carry us easily into Summer when sometimes heavy fabrics feel uncomfortable. 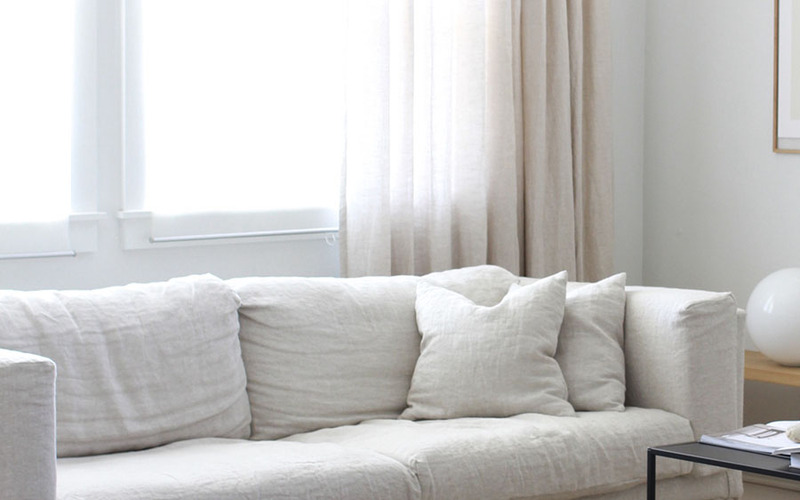 Be sure to check out Bemz's wide range of covers, the looks you can create are nearly endless and they will cost you much less than buying a new sofa altogether. Hi! I love the rug? Is it the Sherpa Weave sand? Did you buy it from the Netherlands somewhere? (I live in the NL and I somwhow would remeber you were Dutch?). Thank you in advance! LOVE this update so much! Just wanted to ask if you could please let me know what color specifically did you choose for the linen for your sofa? 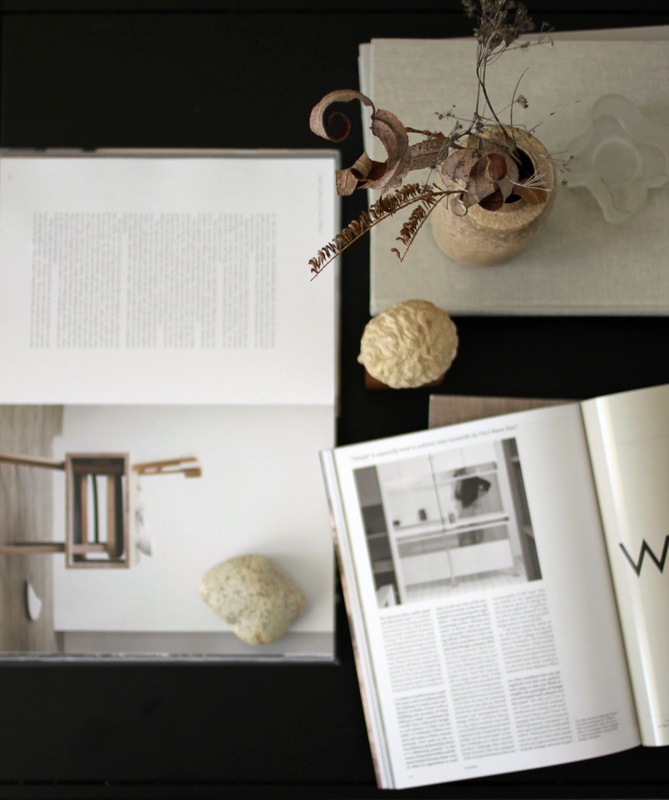 Was it the Rosendal Pure Washed Linen Unbleached or Brera Lino Natural? Thanks! What colour/fabric did you end up picking for your sofa cover? It's hard to tell from the website what to pick, so some guidance would be helpful.